You can exchange data, such as contacts, by pairing two Bluetooth-enabled devices, selecting the contacts you want to transfer and sharing them over the Bluetooth connection. Before you can transfer data between devices over Bluetooth, you must pair the two devices. While the exact steps might vary by device, the following example shows how you can transfer contacts from your Android-based mobile device to your Windows-based personal computer. 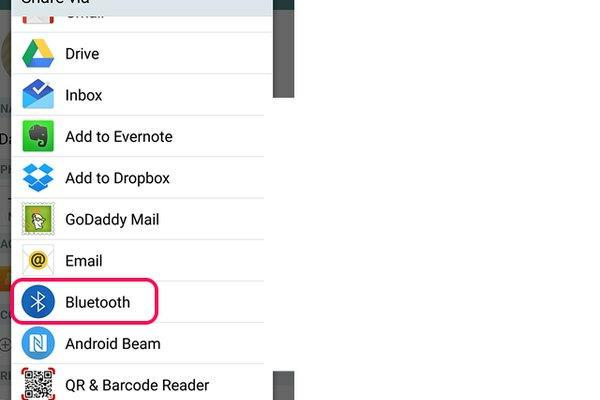 On the mobile device, tap Settings from the main screen and choose Bluetooth. Slide the button to On to enable Bluetooth on the device and tap the box to make the device visible by other Bluetooth devices. 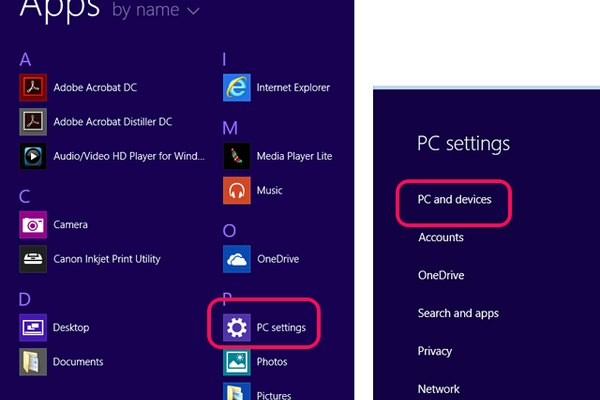 On your computer, select PC Settings from the Apps menu and then choose PC and devices. Then, on your computer, select Bluetooth from the menu. 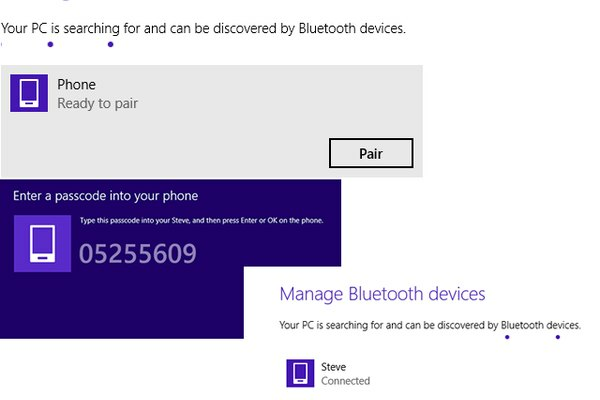 The computer will search for other Bluetooth devices and should find your mobile device, since you enabled it to be found. Wait until an icon with the name of your mobile device appears on the screen in the list of found devices, and then double-click the icon. 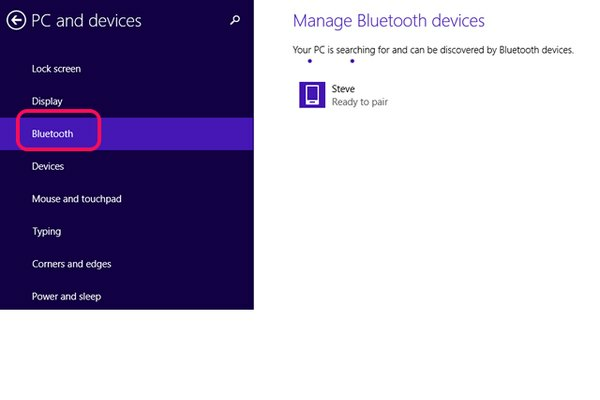 On your computer, choose Pair to pair the devices. Wait for a code to appear on the computer screen. On your mobile device, type the code displayed on the computer screen to authorize pairing it with the computer. Launch the Contacts app on your mobile device. 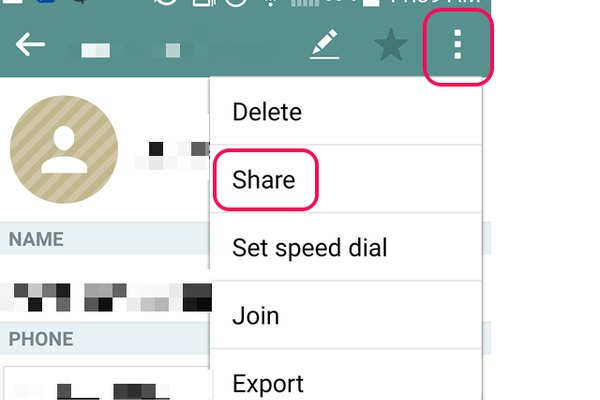 Choose a contact to transfer and select Share. In most devices, you can also highlight more than one contact to send a group of contacts or your entire address book over Bluetooth. Still on your mobile device, select Bluetooth as the method of sharing. 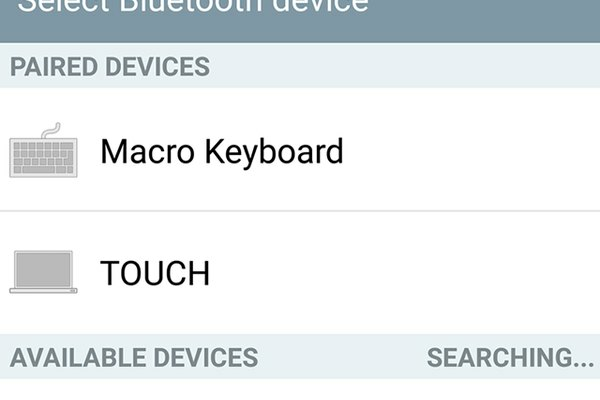 Then, on your mobile device, select your computer as the destination Bluetooth device. Switch to your computer and confirm the prompt to receive the contact information.